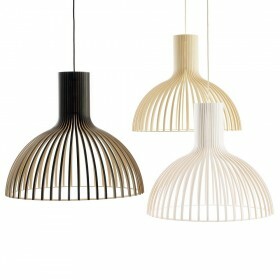 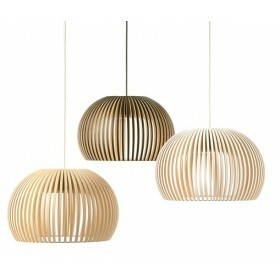 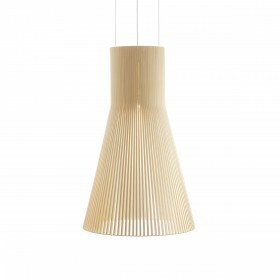 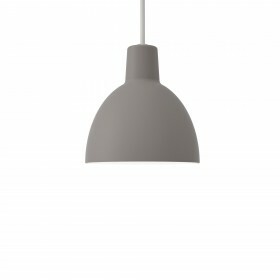 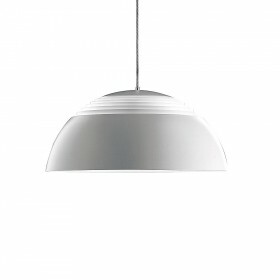 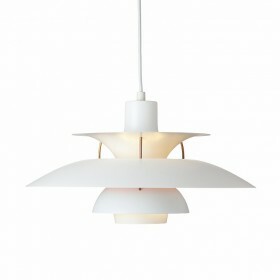 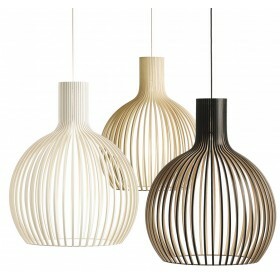 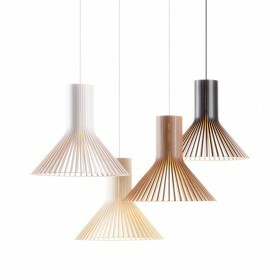 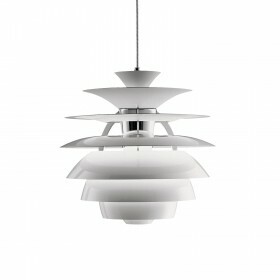 Anu Moser design for Louis Poulsen. 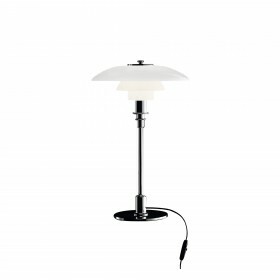 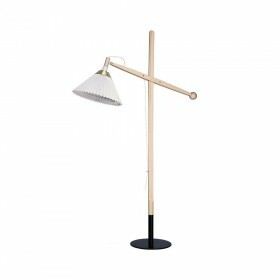 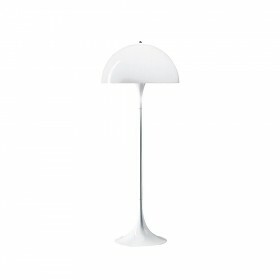 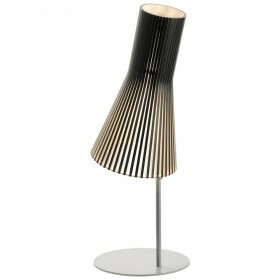 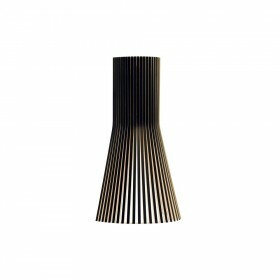 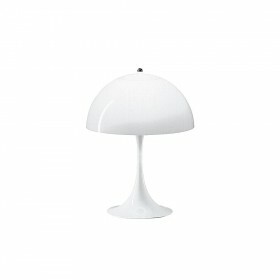 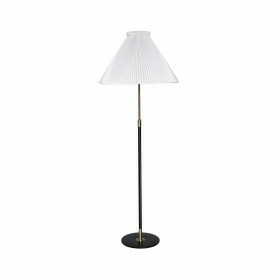 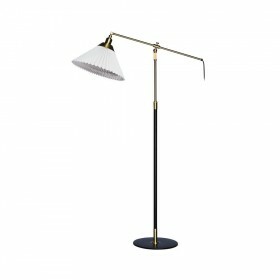 The delicate yet simple design of the Moser lamp allows it to easily blend into any environment, be it modern or classic. 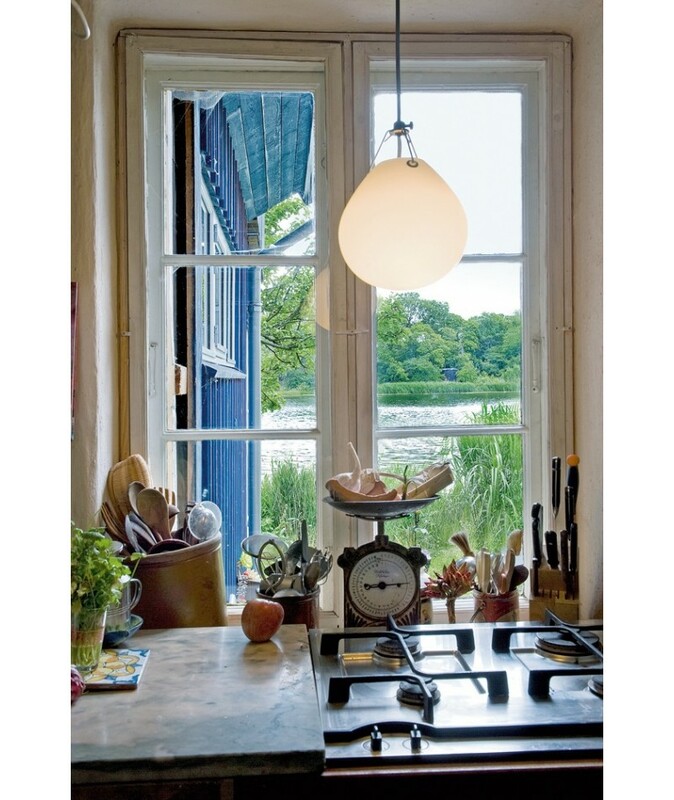 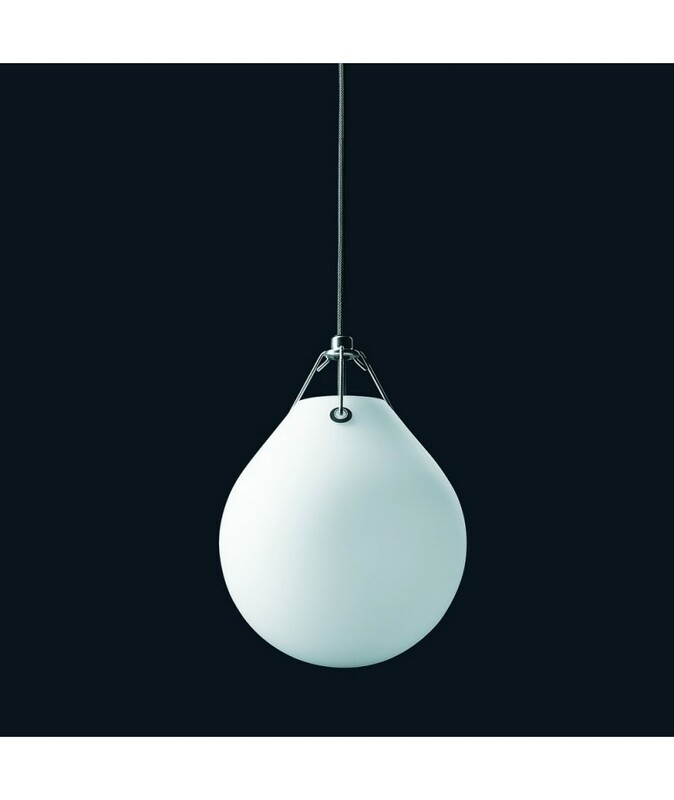 Above a table, desk, worktop, or in a bedroom, the Moser pendant, with its soft and diffuse light, will quickly establish itself as an invaluable source of ambient lighting. 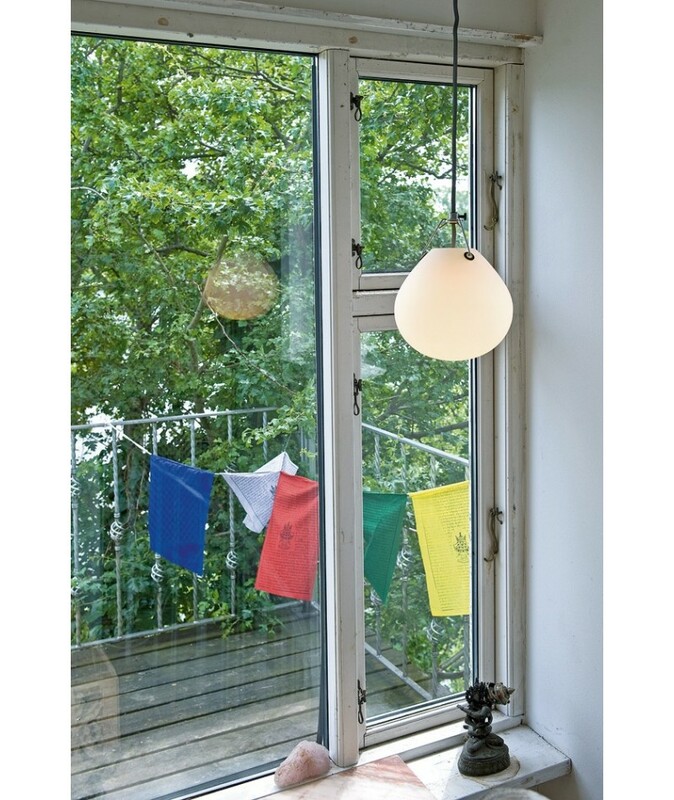 Designed by the ceramic artist Anu Moser, well-known for her love of high-quality materials, the eponymous Moser pendant, in blown glass, embodies a small drop of water gracefully falling from the sky. 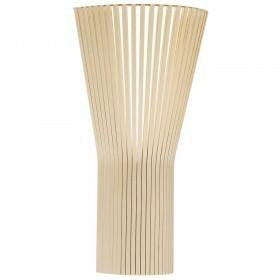 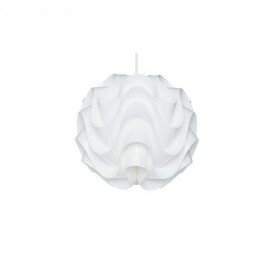 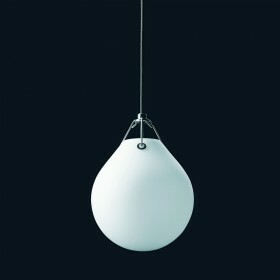 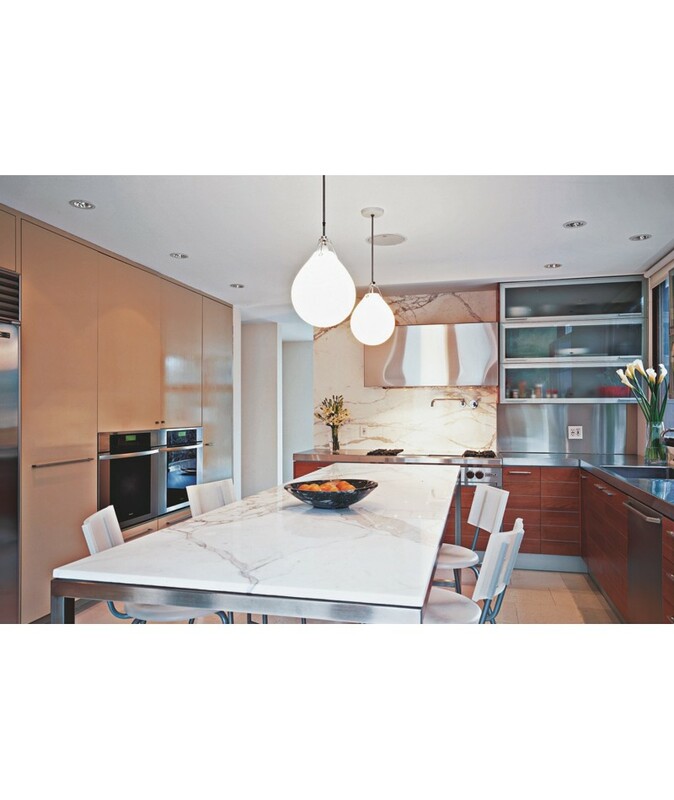 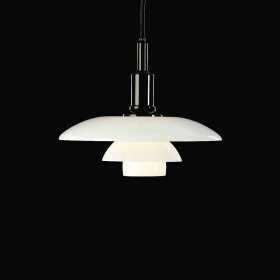 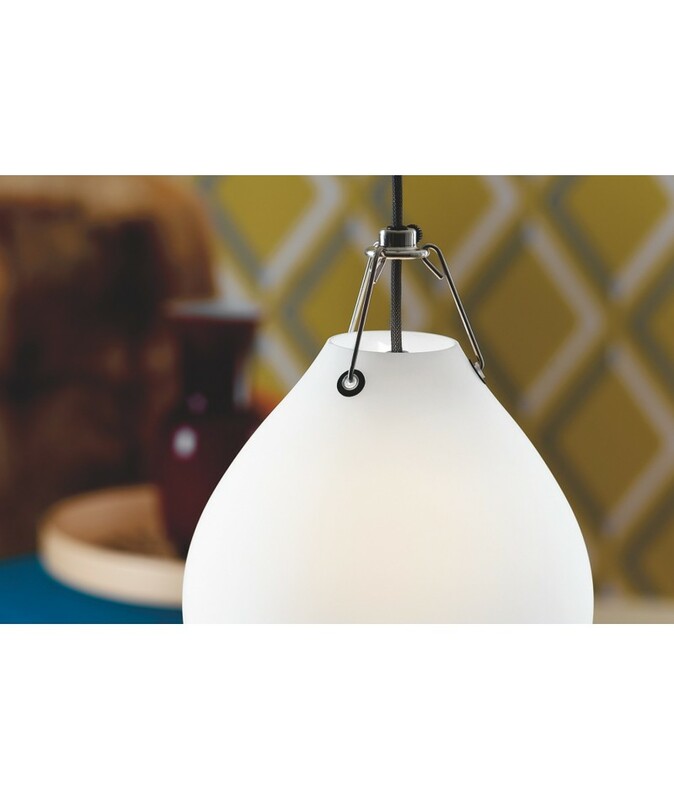 Its high-quality matte white opal glass is mouth blown and provides gentle, uniform and diffuse lighting. 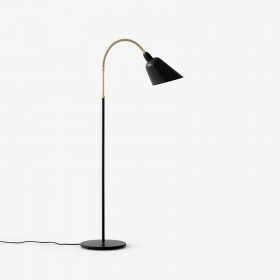 The lamp’s well-balanced lines ensure it naturally blends into any room, hung alone or in groups, above a table or worktop. 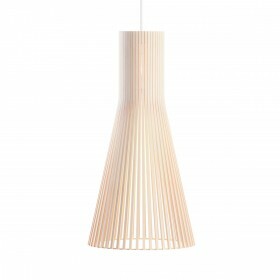 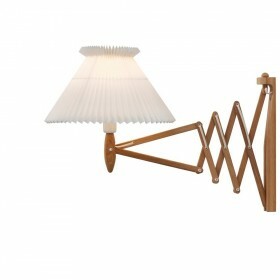 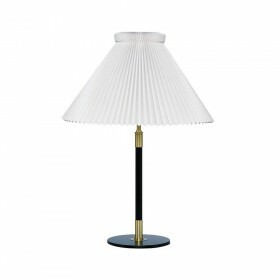 Thanks to its soft light, it also makes the perfect choice for a child’s bedroom or relaxation area. 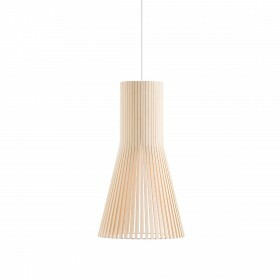 The Moser pendant’s adaptability has been proven many a time, and it has for example been chosen for such contrasting interior design projects as the Chapman University’s library in California, the Lagkagehuset shopping area in Copenhagen, or the Oregon based Pennar Ash Vinery. 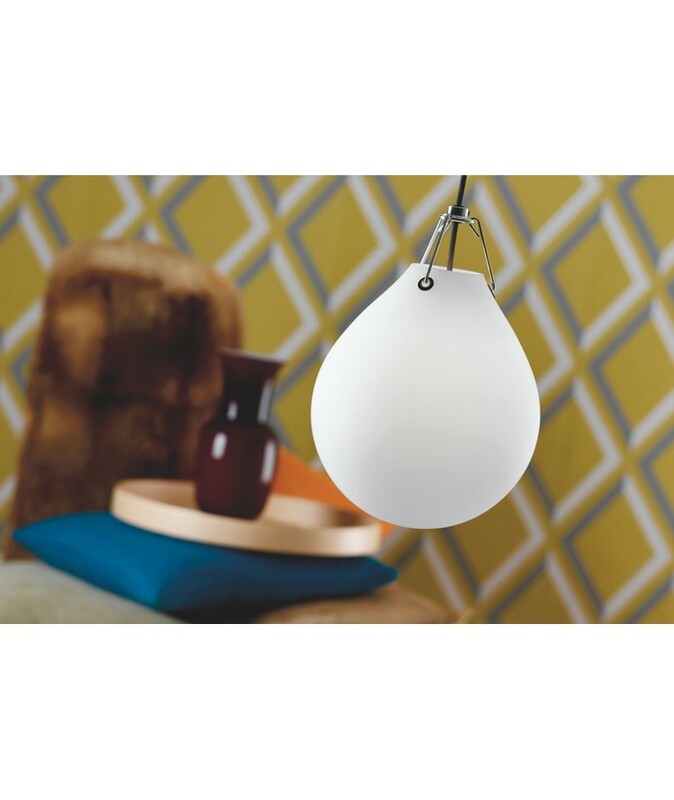 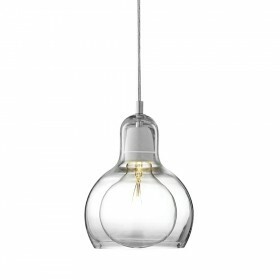 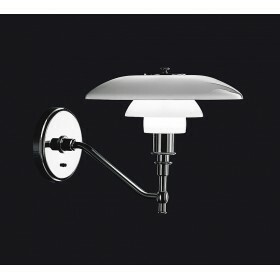 Diffuser in white opal glass blown ; Stand in polished aluminium.